Responsive design (RWD) ensures that your website displays optimally on mobile as well as desktop devices. With that said, we design each of our clients’ websites with a mobile-first methodology. RWD accounts for the minority of users who will access your site via desktop, but it is a secondary consideration in comparison to mobile-friendliness. We cited the projections above for 2021, and we expect Google to reward websites that begin to recognize and adapt to this growing trend. Call 800.231.4871 for mobile website design services in Dallas, TX. The most widely used search engine across the globe has not been reserved about its increased commitment to mobile usability. In recognizing the trend of its users migrating to smartphones for their internet usage, accounting for the shift is simply good business for Google. 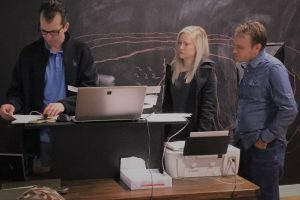 Dallas – Fort Worth businesses that begin their website evolution alongside Google will reap the benefits in the near future, if not sooner. DFW SEO has the web design team to help you mobilize your website today. Internet marketing on mobile does not come without its challenges, but it also provides advantages and opportunities that would not be present on desktop. One prime example of this is click-to-call functionality. Since users are surfing the web on their smartphones, buttons or links to phone numbers can connect the user to your office phone line in one click. The ease with which this creates connections of consumers to providers is extremely valuable and has a chance to increase conversion rates across the board. 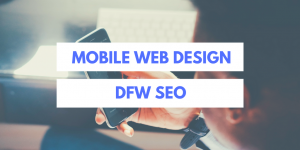 Dallas – Fort Worth SEO is the best mobile web design team in the DFW Metroplex. 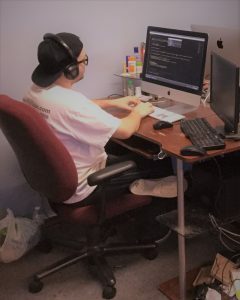 We help business owners throughout the area by helping them improve their website performance, particularly for mobile users. Remember, mobile website visitors will make up the majority of your prospective customers, so being ready to convert them into that customer is vital to your overall business success in 2018. As we cited earlier, the mobile trend is expected to continue its ascendancy, so now is the time to join the revolution. Call 800.231.4871 for mobile web design in Dallas – Fort Worth, TX. Updated on April 3, 2018 at 3:59 pm by Dallas / Fort Worth SEO.